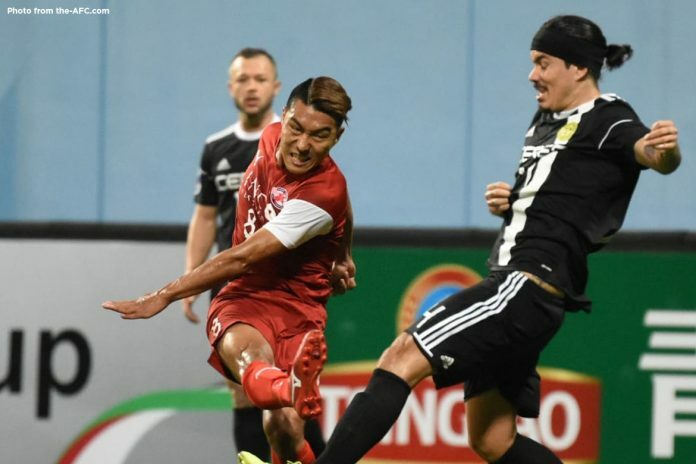 MANILA – Ceres Negros’ journey in the 2018 AFC Cup came to an end after a 0-2 loss to Home United of Singapore in the second leg of their ASEAN Zonal Final match on Wednesday night at the Jalan Besar Stadium in Singapore. Ceres, which played without the suspended Bienvenido Marañon, will try to bounce back in the 2019 AFC Cup after qualifying again for ruling the 2018 Philippines Football League for the second straight year. The Busmen lost to an aggregate score of 1-3 after settling for a 1-1 draw with Home United during the first leg on Aug. 1 in Bacolod City. Shakir Hamzah and Song Ui-young scored a goal each in the second half for Home United, which avenged its ASEAN Zonal Finals defeat in the hands of Ceres last season. Needing an away goal to virtually tie Home United, Ceres went aggressive in the opening half with attempts from Patrick Reichelt and Manuel Herrera but these were thwarted by the defense. 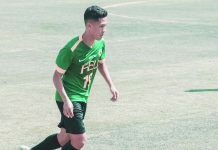 The Busmen suffered a huge blow near the end of first half – Reichelt went down with an injury after colliding with Home United’s goalkeeper Rudy Khairullah and was not able to return to the game. In the second half, Home United diminished Ceres’ chances of advancing to the next round as Hamzah drained a well-placed header in the 62nd minute from a corner kick.